Hello & welcome to H.A.D.’s Website. 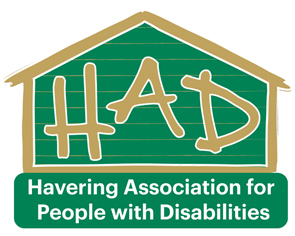 Havering Association for People with Disabilities (H.A.D) provide a broad range of services and activities for People with Physical Disabilities and Carers in the London Borough of Havering with the object of improving their quality of life, promote independence and meet their physical, emotional and recreational needs. We are based in an accessible building with parking available at the front of the building, an accessible training room and hall which means we are able to facilitate a wide range of activities as well as clubs and other groups. We also have a beautiful garden which along with our other facilities are available for hire. Empathy: H.A.D. is committed to an approach that focuses on an individual’s need.